NEW! 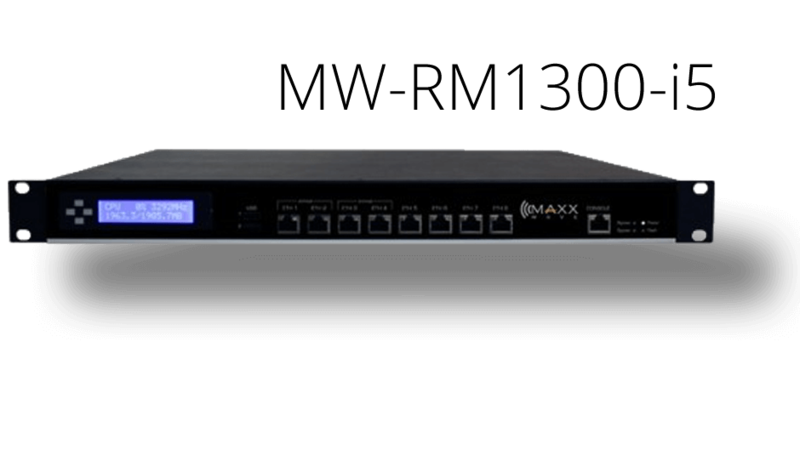 Custom-built by Maxxwave, this high speed gigabit router is built for performance and is based on industrial strength hardware. By using the latest Core™ i5 technology, we are able to deliver a next-generation router. This router comes with a MikroTik RouterOS version 5 and Level 4 RouterOS license. Easy setup allows you to plug it in and start configuring. Each gigabit port has its own controller on a PCI-E bus. There is a PCI-E 8x expansion slot inside for additional supported cards like the RB44Ge 4-Port or HotLava 4-Port. The router comes with 4GB of RAM (2GB useable with RouterOS v6) and runs from a 2GB Industrial SLC SATA CFast™ card. Boot time is less than 30 seconds from power on. Based on the latest Intel 82574 Gigabit Chipset, the router has support for 9K jumbo frames, receive-side scaling and checksum offload. The network interface queues are multi-threaded across multiple CPU cores, providing outstanding performance. The RouterMAXX 8 Port is not your average router. It provides up to 10Gbs of routing capacity with 8 individual integrated cutting-edge Intel gigabit controllers. Topped off with Quad 3.3GHz cores and 4GB of DDR2 RAM — There is no task too demanding for this router. The 1U Rackmount form factor and RouterOS software provides a rich feature set found only on routers costing 5 times as much. MPLS, OSPF, BGP, PPPoE and OpenVPN are some of the features included. Single and Multi-mode SFP fiber modules sold separately. SFP modules are required for fiber optic functionality. 4GB DDR3 RAM (2GB useable with RouterOS v5+) is standard along with 2GB for the OS run from flash. Easily upgradable to 8GB of DDR3, extra space inside for (2) 2.5″ SATA HDDs to build a high-end caching server. With RouterOS V5, the network interface queues are multi-threaded across multiple CPU cores, providing outstanding performance!